There are 54 reviews of Incense Rosé. Received a sample. It smells like coke a cola and artificial rose on me. I thought I would love it because I like L' Air du Desert Marocain but it lacks the complexity and the lovely dry down. I'm realizing now why it took me so long to like LADDM. It's that first flash of coke. If you are old enough you may remember the smell of the first Rexall Drug Stores. It was a mix of pharmaceuticals, , the soda fountain and rose scented soaps. On the plus side Incense Rose' does not lead with the pharmaceutical notes as does LADDM! Opens up heavy on incense paired with a fresh rose. There is something sharp/screeching in the background, maybe synthetic woods. It goes all incense and rose with a woody backbone for about 5 hours when it starts to be a bit sweeter and resin like; it's not that screechy anymore and the myrrh and resins take a central stage while incense still goes strong. After 8 hours, just hoovering above the skin a blend of sweet incense with resinous touches and the synthetic woods which are back. I enjoy the most the middle part, but it doesn't change my final opinion: this is a mediocre scent that overall seems like an initial attempt, almost like a work in progress. 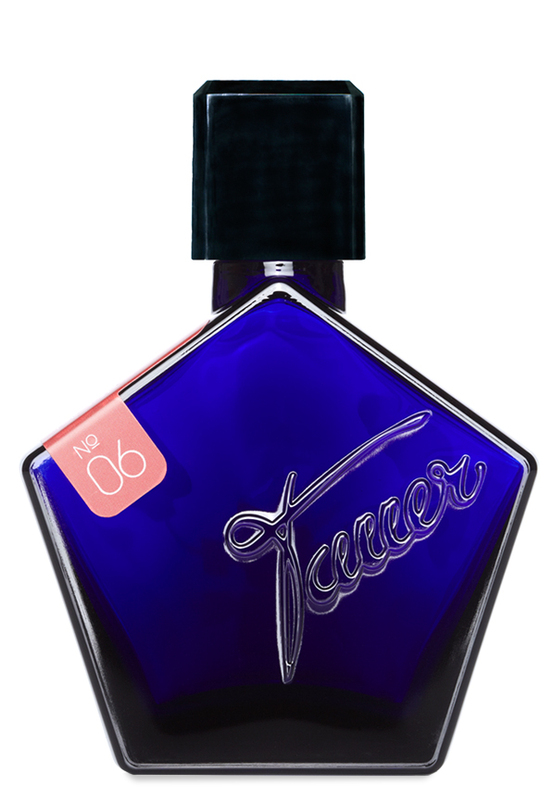 My first time with a Tauer fragrance. I am very impressed! I will definitely have to try more of Andy's creations. What a lovely incense-rose scent this is! The top notes of clementine, bergamot, cardamom, and rose are, for lack of a better word - awesome! I get a faint aroma of cola from somewhere, briefly, then it is gone. Maybe from the middle notes? The base of this, is what really makes me swoon. I mean, they are fairly "common" basenotes: patchouli, cedar, vetiver, incense, resins, myrrh. Somehow they smell more ethereal. More perfect. Opens with a fascinating, powerful accord that smells like monstrous Coca-Cola - this gourmand-incense aspect is its most interesting phase, and is probably best enjoyed on paper. On my skin after an hour it smells like a watered down L'Air du Desert with a slightly out-of-place incense note. The opening is intriguing, and unlike some Tauer products where the name is more misleading that descriptive, here I get the rose as well and the incense right from the start - and more. A whiff of citrus but mostly a cleverly employed cardamom blend with the two titular components, and all this combines to an intriguing set of top notes. The rose is a medium bright Damascene that more elegant and discrete than powerfully strong. The incense is also on the restrained side, but intensive enough and rich in nuances. At times orris and castoreum are added in the drydown, whilst in the base a dry cedar notes is paired with it. The incense is not dissimilar to that in other Tauer scents, of high quality, minimally medicinal and here with only very few balsamic undertones. The performance is good, with moderate sillage, adequate projection and ten hours of longevity on my skin. A successful dyad of the ingredients mentioned in the name and permutated in an interesting manner makes a convincing winter scent, which is not intrusive and very wearable at work and for leisure. A good Tauer product. 3.25/5. Tauer Incense Rose or Tom Ford's Noir de Noir? So who's looking forward to Tauer's Incense Rose? !